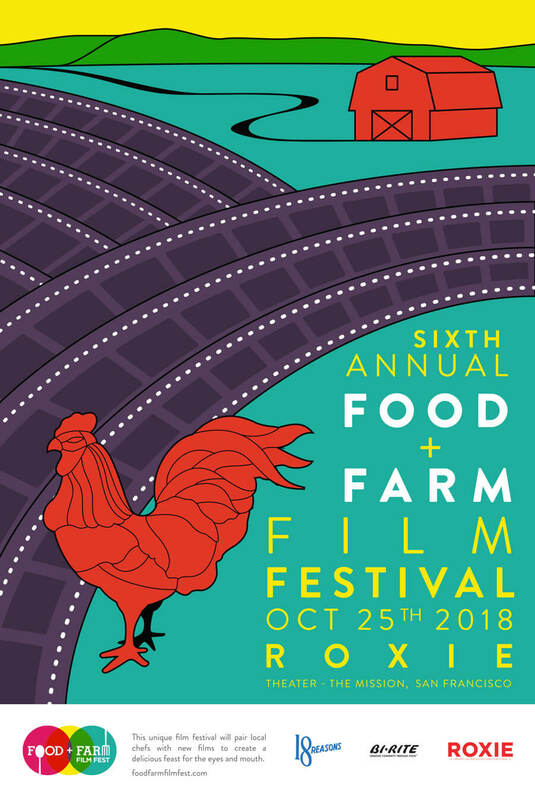 I created the poster for the 6th annual Food+Farm Film Festival in San Francisco. Sponsored by Bi-Rite Market, and my client 18Reasons. Only requisite was including the rooster that they’ve used on all previous year’s posters. I matched the colors of the FFFF logo, and made rows of film out in the field.